Computer Application Services (CAS) is delighted to welcome latest recruit Peter Hyder, who joins the team as a Workpro Analyst. 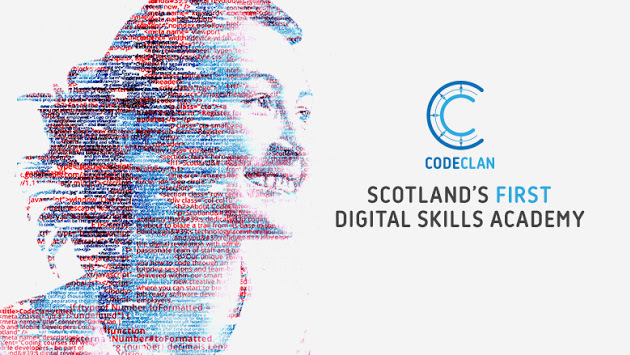 Peter has just completed an intensive course with our partners CodeClan - the first UK digital skills academy to be approved by the Scottish Qualifications Authority (SQA). Peter beat a number of applicants after demonstrating an enthusiastic and proactive attitude along with proven IT skills. He will join the existing “Castodians”, the term used for CAS staff after the company became employee owned two years ago. Simon Harbisher, Business Analyst Manager, says Peter was exactly the sort of person CAS was looking for and praised the talent being created at CodeClan. “With a booming digital economy and a general shortage of skilled people in Central Scotland it was a no brainer for CAS to turn to our partners at CodeClan. Peter will initially focus on enhancing CAS’s second line of support, putting him in direct contact with our customer base, while he also gains experience within various other areas of the company. CAS has two business streams; one provides Workpro case and complaints management software, the other provides niche services to MoD training ranges. Recent changes to Financial Conduct Authority complaint handling rules, have created considerable opportunities for the FCA-compliant configuration of Workpro complaints management software. In addition, Workpro case management software is of interest to HR professionals dealing with complex Employee Relations casework, who are keen to uphold service and compliance while keeping a firm grip on productivity and costs.